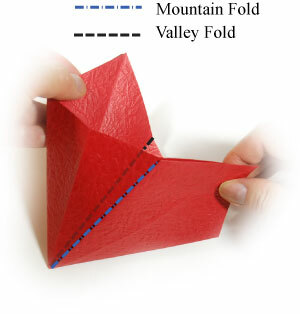 Apply the valley-fold of the step #14. Prepare to apply a mountain-fold to the front middle-line and a valley-fold to the back middle-line. 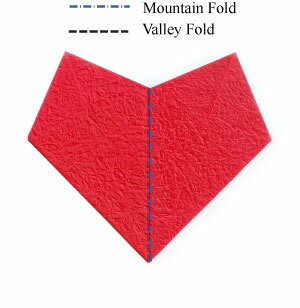 Open the model by applying both mountain-fold (front middle-line) and valley-fold (back middle-line). The process is similar to making a "square base" .